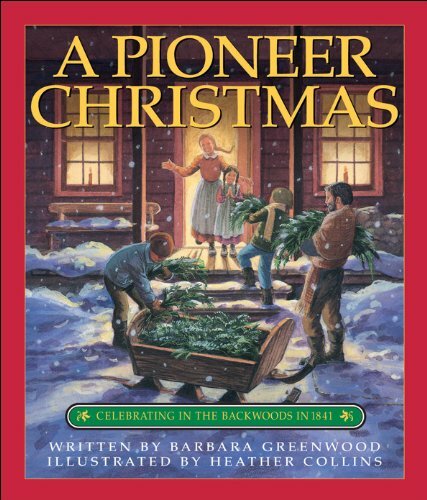 Pioneer Christmas, A: Celebrating in the Backwoods in 1841 by Brand: Kids Can Press at Cmc Schools. Hurry! Limited time offer. Offer valid only while supplies last. Combining fiction and non-fiction, this dramatic story set in the snowy backwoods follows the Robertson family as they prepare for Christmas in 1841. Combining fiction and non-fiction, this dramatic story set in the snowy backwoods follows the Robertson family as they prepare for Christmas in 1841. They are excitedly expecting visitors from afar but as a winter storm begins to rage, the family fears for the safety of the travellers. How will Andrew and Sophie -- with a baby on the way -- fare on such a dangerous journey? Each chapter of the story is enhanced by information about the pioneer period and how Christmas was celebrated in the past. Children will learn about holiday traditions in more detail through crafts, games, songs and other activities. Even 150 years ago, Christmas was a special time. A companion book to A Pioneer Thanksgiving, A Pioneer Christmas weaves together stories, information and activities to create a tapestry of pioneer life. If you have any questions about this product by Brand: Kids Can Press, contact us by completing and submitting the form below. If you are looking for a specif part number, please include it with your message.